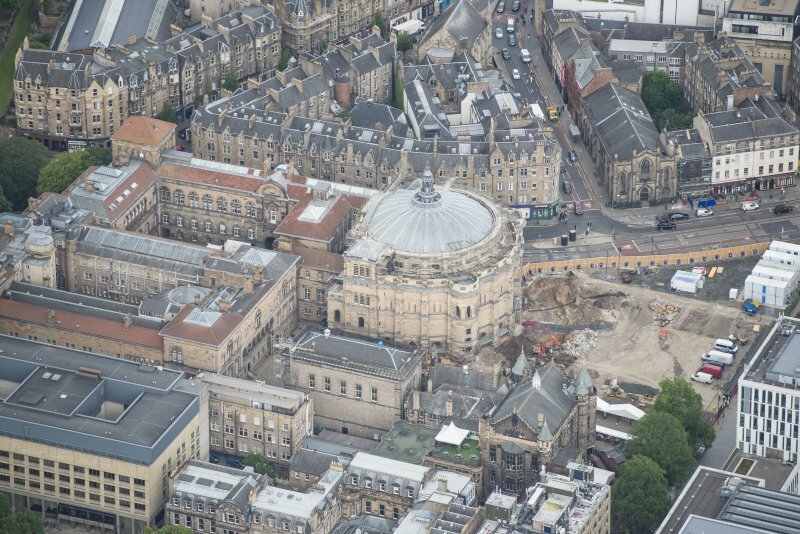 Oblique aerial view of the McEwan Hall, Unversity Student's Union, Reid School of Music and Medical School, looking SSE. 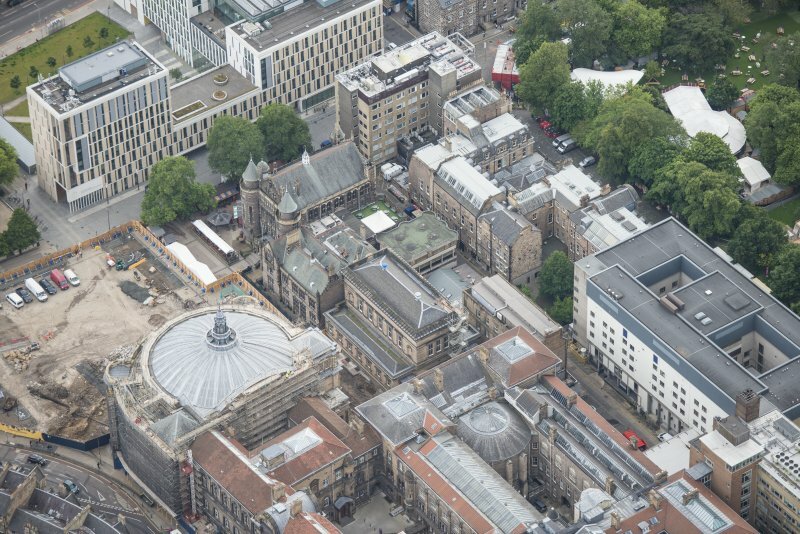 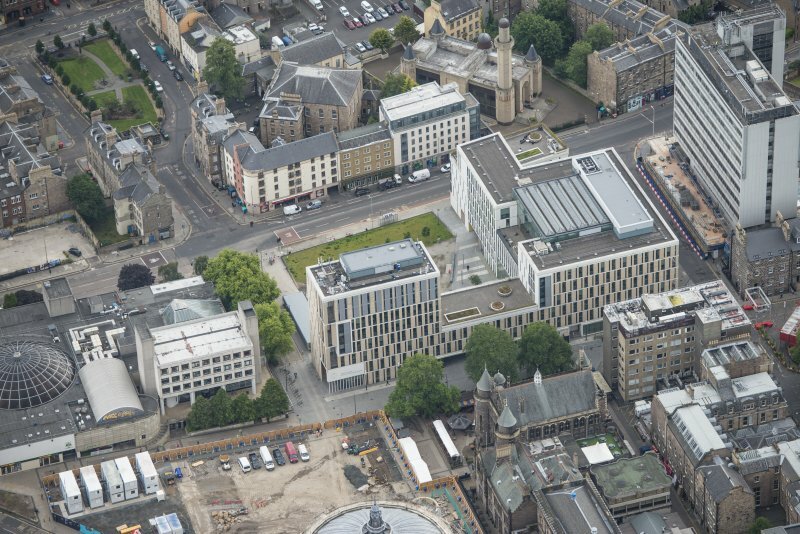 Oblique aerial view of Teviot Row House, Reid School of Music and McEwan Hall, looking NW. 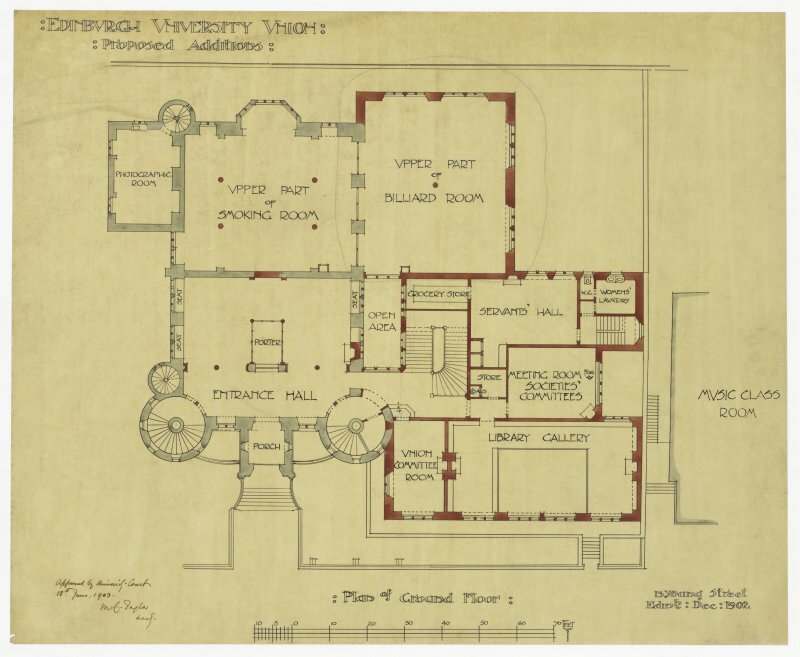 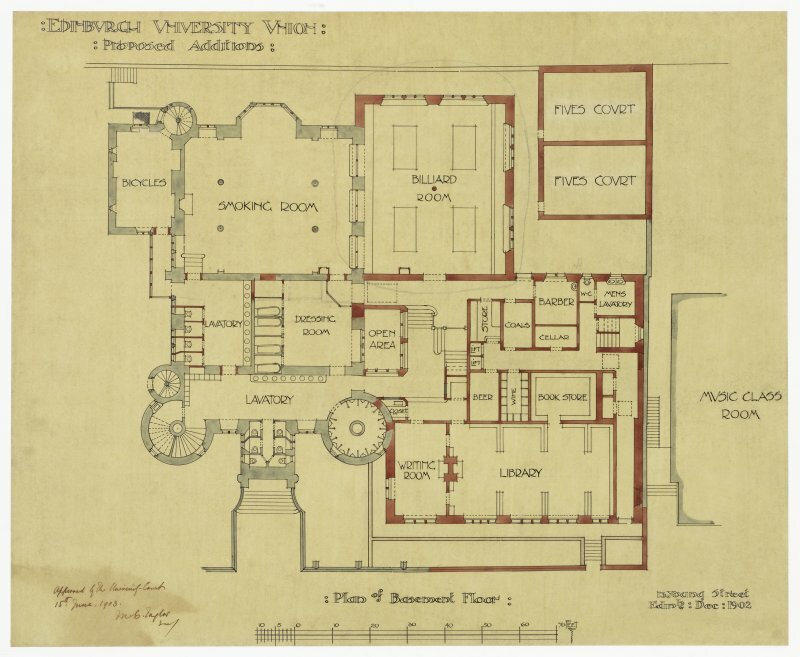 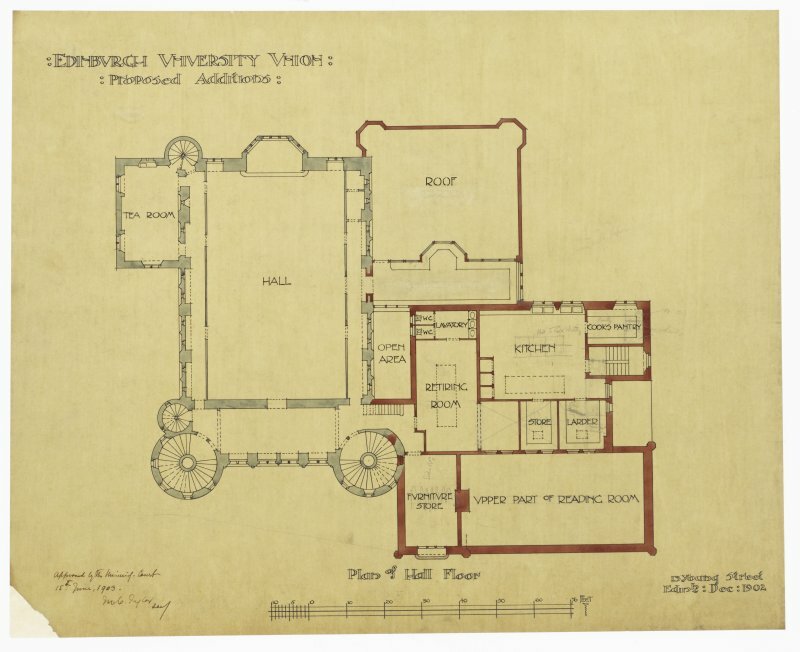 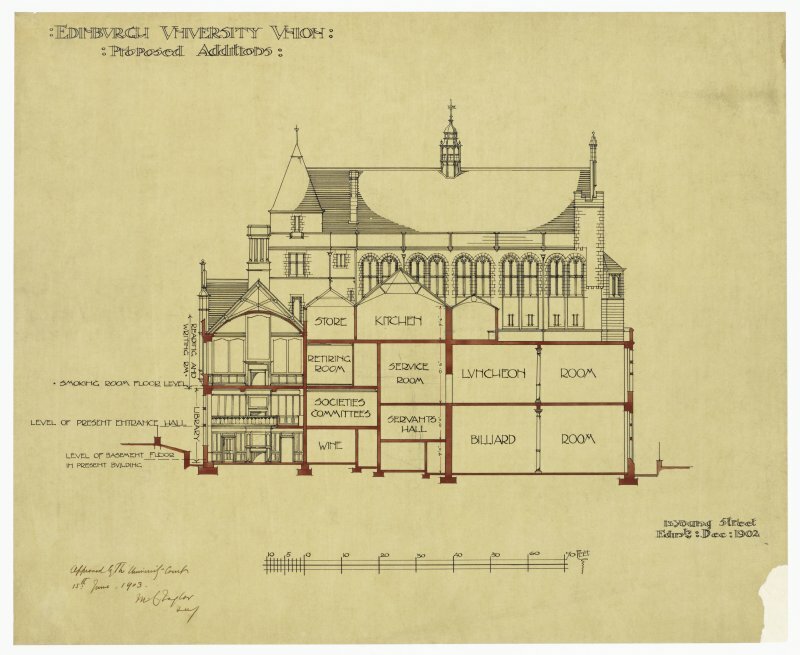 Plans and sections showing additions. 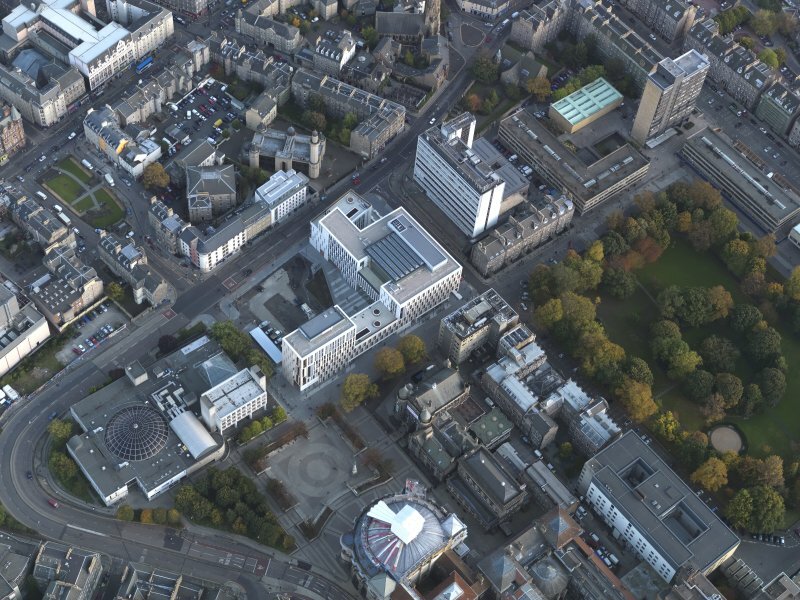 Oblique aerial view of the university centred on the hall with the hospital adjacent, taken from the NNE. 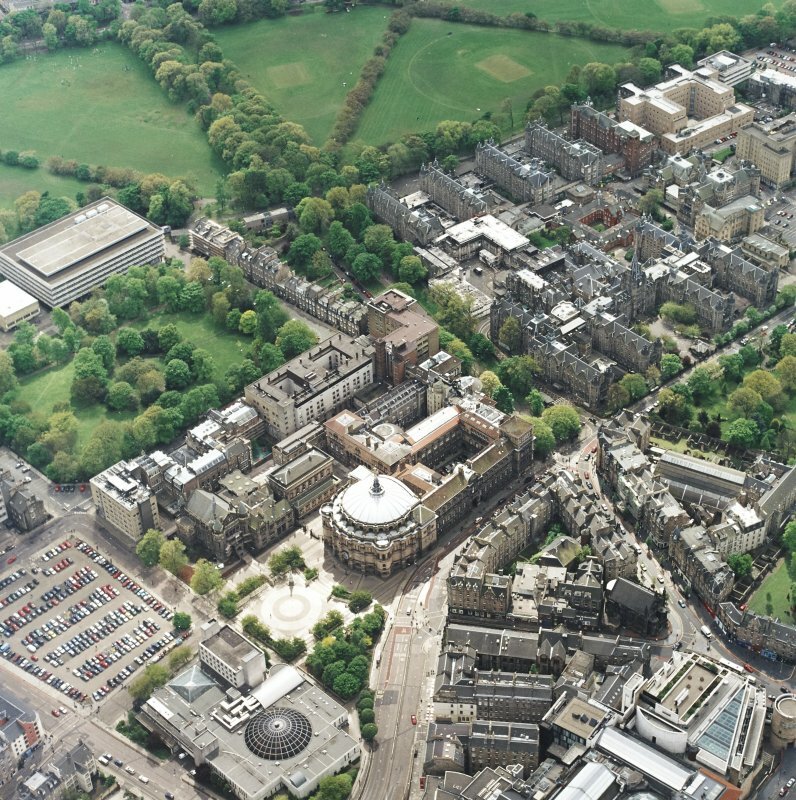 Oblique aerial view centred on the hall with school, university, club, chapel, hospital and school adjacent, taken from the ENE. 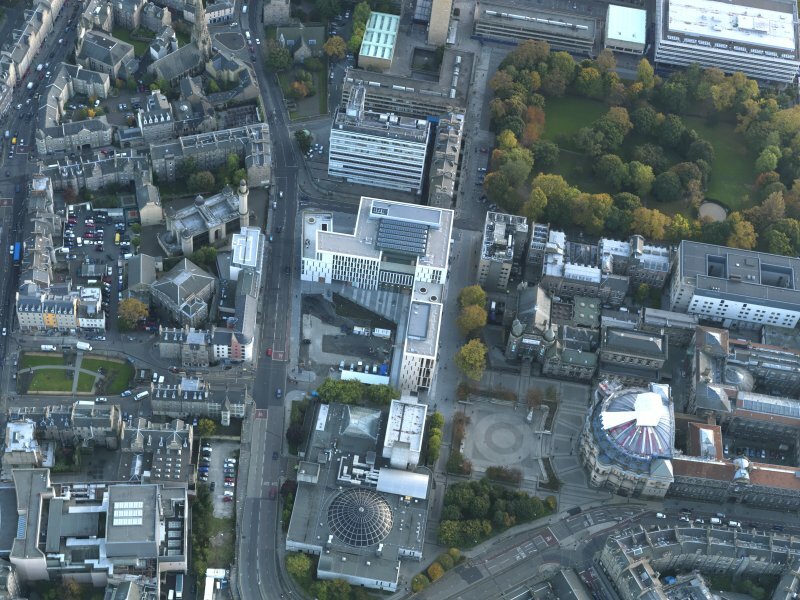 Oblique aerial view of Teviot Row House, Reid School of Music and Pyschology Department, looking NW. 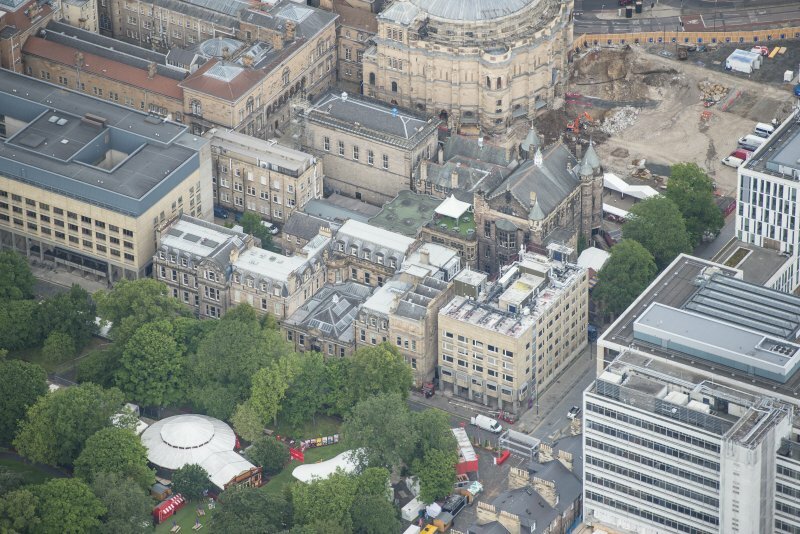 Oblique aerial view centred on the University Information Centre with the McEwan Hall adajacent, taken from the NNW. 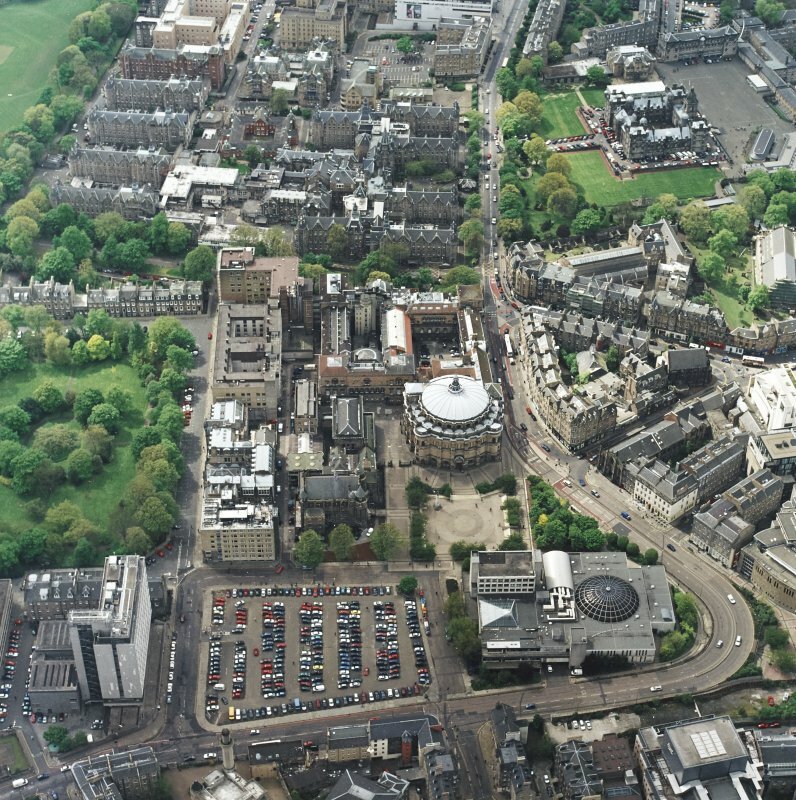 Oblique aerial view of the university centred on the hall with the hospital adjacent, taken from the NE. 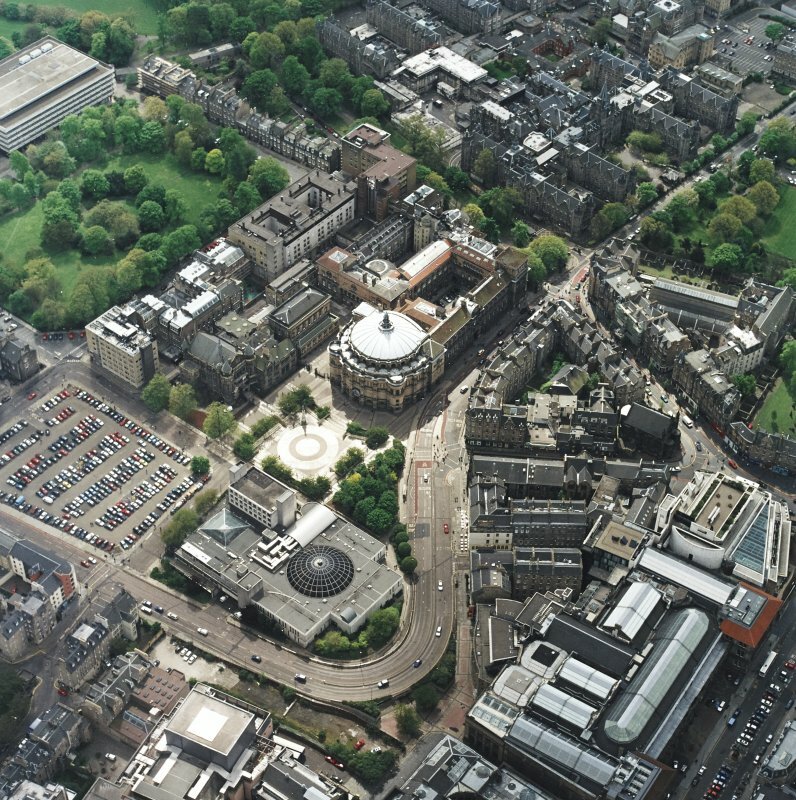 Oblique aerial view centred on the University Information Centre with the McEwan Hall adajacent, taken from the NW. 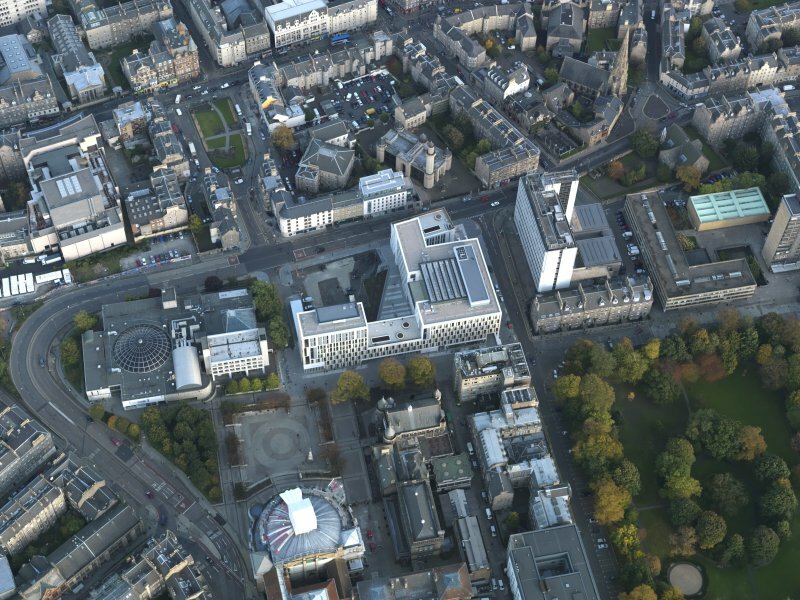 Oblique aerial view centred on the University Information Centre with the McEwan Hall adajacent, taken from the W.
Oblique aerial view of Nicolson Square Methodist Chapel, University Student's Union, Central Mosque and the Informatics Forum Building, looking E.
Drawing showing general view of exterior, University of Edinburgh Student Union. 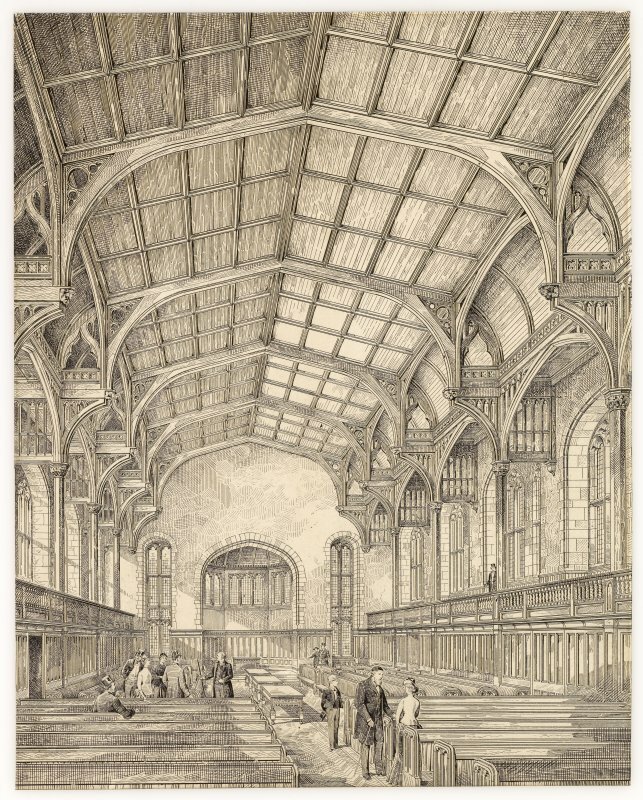 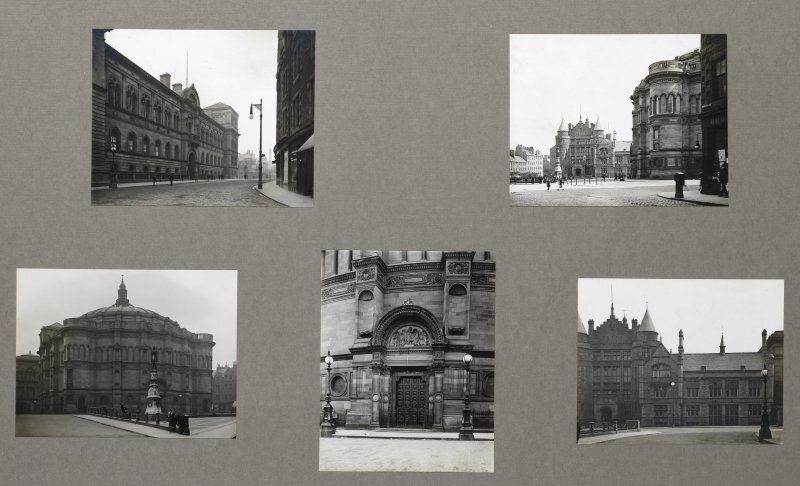 ARCHITECT: Sydney Mitchell and Wilson, 1887-1888. 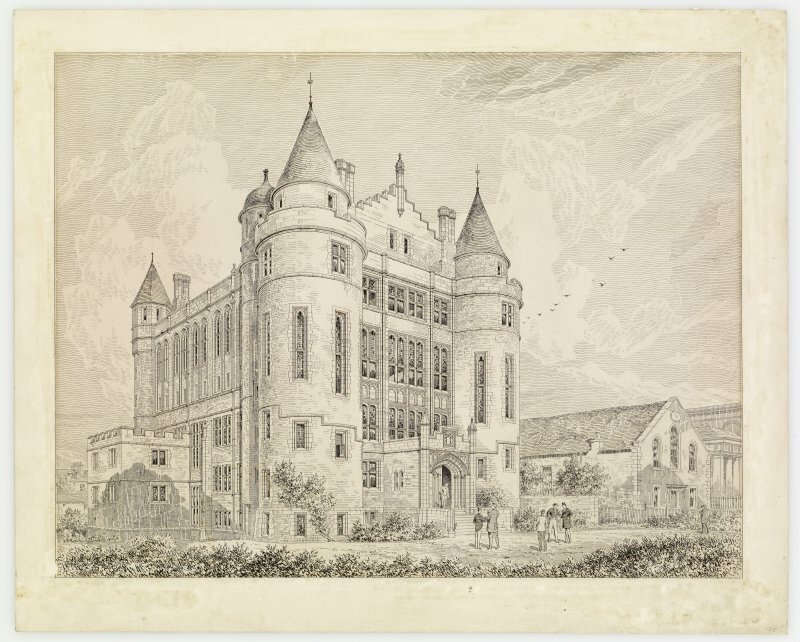 Site of Lord Ross's house, built c.1740, which later became a Lying-in Hospital from 1793 to 1842.